After we release the G910 game controller, it has been very hot and selling well, we collect customers feedback,and transfer to factory, and push them to fix problems. How to install the new firmware? run the flash tool you just download, click “open file” button to load the new firmware you just downloaded. after you install the drivers, click ” update” button on the flash tool ,and the new firmware will be flashed. 3 Make sure your phone is rooted! 4 If you have installed the old gamecenter app, you should have one folder called” bitgames_box_tv” on your smartphone file, please Delete this folder! 6 Now take your G910 game controller with newest firmware, press the Y button first, and THEN press the Home button, you will see the first 3 led flash quickly. 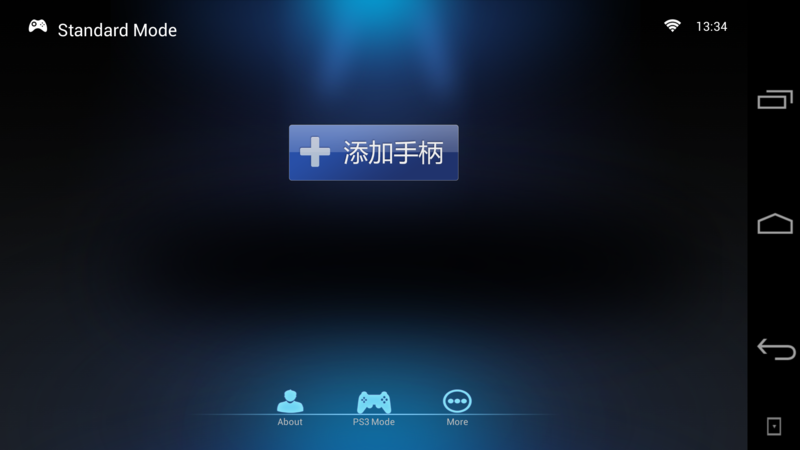 now click” 添加手柄“button on the above photo. Now you can go to run the games like dead triggler and check. I have tested on MT6589 quad core smartphone, and MT6592 octa core smartphone, the analog stock problem has gone. I wait for your feedback. Eric new connection app will be on english? Ok...new openpad...but whew the new firmware??? I need it to test...I have 6589..
Gamepad does not work in the new application, but it works in games. I try to make this gamepads work on Win 7 but it's impossible. As i connect them through A mode, there are not recognized as gamepads but keyboard. With X mode, nothing happen. how you test this? and what is your device? try to use it on the old firmware, and report back. Sorry. It finally works on Win 7. I try this with Grid 2. But the "Game controller properties" in the OS don't show the analogic stick and no one of the button seems to responding. However, it works in games. 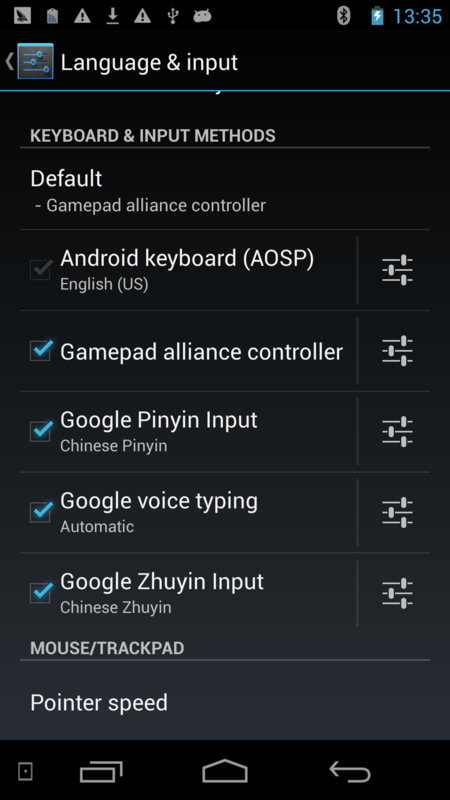 what games from google play are compatible with G910? and sometimes the touch buttons flash on screen in GTA SA. don't know if this is due to the game or the firmware. can you send me the new beta firmware? I'm trying to connect g910 with Sunvell V3II. It connecting, but after 1 sec. disconnecting. I installed your app, it tries to connect, then disconnected, disconnected, disconnected... Any idea? I am seriously angry now Eric. I have ordered this controller since October 2013, and now it is May 2014. This controller has not worked as I expected it to since the day I purchased it. I demand a refund or the release of a firmware that works properly!! internet. it could also be employed for headhunting and employment. Just bought two G910 ... But can't pair the gamepads in the same time on Minix Neo X8-H! Any ideas? The PC USB drivers above doesn't seem to work, I tried it on win7 64b and win8 64b both PC cannot recognise this file, can someone help? Hi Eric, do you have latest update to share ? Hi, Eric. Can you please tell how to edit these PSP files for remapping? I've been trying to do this for months.... But I can't open the .psp file. Please tell the community how to open and edit psp files! Please... Thank you!! Hello, I bought the G910 along with a Mini Neo X8-H but I just won't work even after I've updated the firmware. Won't Pair by BT and although the OpenPad app can detect the pad, it won't pair either. Has anyone else experienced issues with this combination? Can you assist? 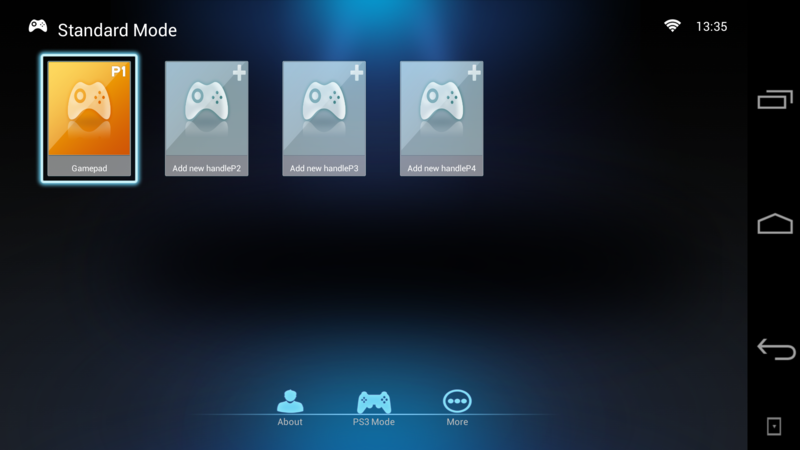 The gamepad works nicely in HID-mode (X+home) on android. HOWEVER when you click on the thumbsticks (R3 & L3) the gamepad sends the instruction "key 306" and "key 309" (respectively BUTTON_C and BUTTON_Z) which makes them useless for 99% of games! The correct instructions should be "key 317" and "key 318" (BUTTON_THUMBL and BUTTON_THUMBR). Would you please ask the factory to modify this in a future firmware update? It would make the gamepad perfect! Hello after last update to asphalt 8 the gamepad dont work! !The game nows i have the gamepd but any buttons dont work! !Any solutions?I use home button with Y button! Hello new update for g910?Asphalt 8 dosent work anymore!! I did all the above procedures but still does not work, she pareia with bluetooth, but not working. What can it be? 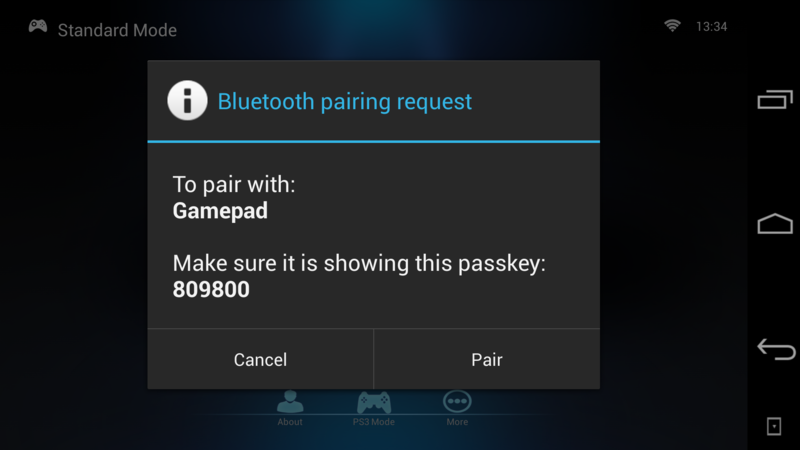 Please enter the game center ,where there is a Bluetooth pairing option, it will work only if the Bluetooth has paired successfully.